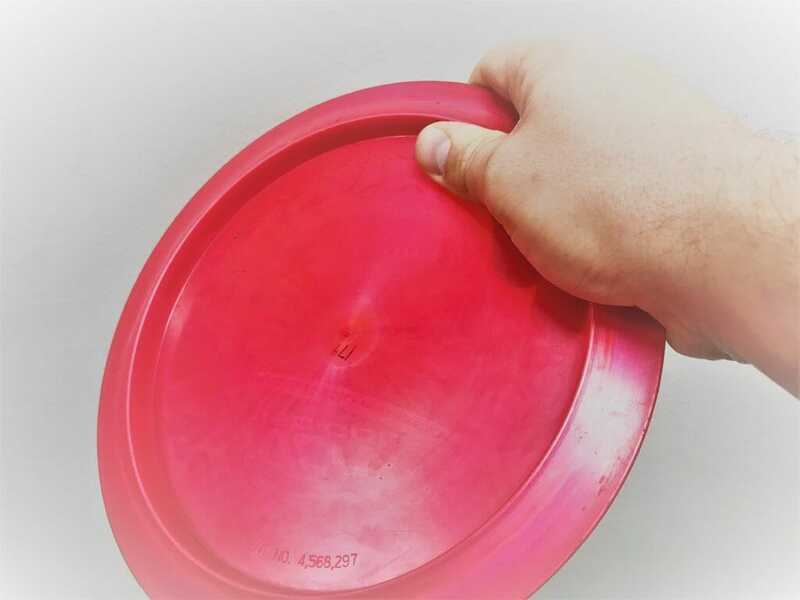 Getting up and over obstacles effectively is one of the trickier headaches disc golfers encounter on the course.is one of the trickier things to do effectively and consistently on the disc golf course. Many opt for a more common tomahawk or thumber in those situations, like we discussed in this series a few weeks ago. But, like Dave Feldberg explains in the clinic linked at the end of this piece, sometimes players aren’t as comfortable with overhand throws, or they are rightfully concerned about injuring their shoulder or back. Luckily, there are other options. The grenade and scomahawk are two different kinds of up-and-over utility shots that have their basis in backhand driving form and will put relatively less stress on your body. A grenade1 derives its name from the characteristics of its flight, where the disc almost literally flies like a tossed explosive, while the scomahawk’s moniker is a combination of scoober — an often used term that in some ways has become a catch-all adjective for all upside-down Frisbee throws — and tomahawk, which the flight of this shot closely resembles. 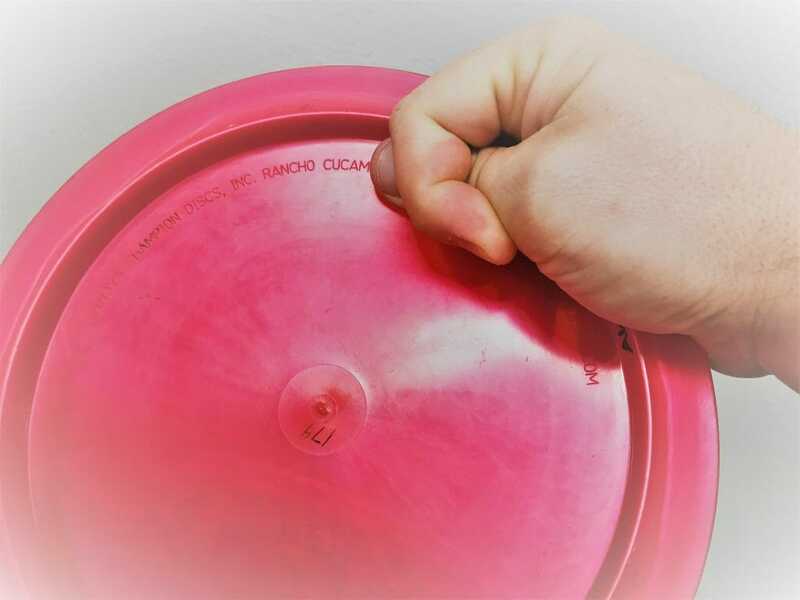 Grenade – Hold the disc as if you were going to throw a backhand drive, except flip the disc upside-down and put your thumb on the inside of the rim and the rest of your fingers on the flight plate. You can tuck your index finger over your thumb for some added grip pressure if you feel the disc comes out early with just your thumb. Scomahawk – Use whatever grip you would typically use while throwing a backhand roller. For most players this will be a standard power grip. A properly thrown grenade tends to start and finish very straight, going up in the air and back to the ground directly in front of the thrower. So, in terms of footwork, you should employ a standard X-step that you would use for any backhand throw, making sure to approach your lie in line with your target. Most disc golfers are at least vaguely familiar with a standard backhand drive, if not outright preferring it to all others. That’s exactly where to start if you’re interested in using either of these throws, but there is one crucial adjustment you have to make for both: Because the objective for each shot is to get up and over an obstacle, both require you to reach back downward and follow through up and high. Neither throw will work if you reach back and follow through on a flat plane. Both shots must be thrown relatively hard and fast, but also with smooth, controlled movements. In terms of the grenade, the disc will want to get to the ground quickly, so throwing it high and hard gives it a chance to clear whatever obstacle you’re faced with. A scomahawk should flip and pan out in the air like an overhand shot, so it too must be thrown relatively hard to achieve that flip. The clips of Lizotte and Jones, as well as the demonstrations in the videos linked below, show how helpful these shots can be to avoid obstacles. Lizotte and Jones, in particular, show two more aspects of their usefulness. Jones used the straight-up and straight-down nature of the grenade to avoid erring right and bringing the mandatory pole, which was near his intended flight path, into play. The choice to go with a grenade also took any potential trouble brought by a left-to-right forehand throw out of the picture, as he had a relatively tight angle to deal with. 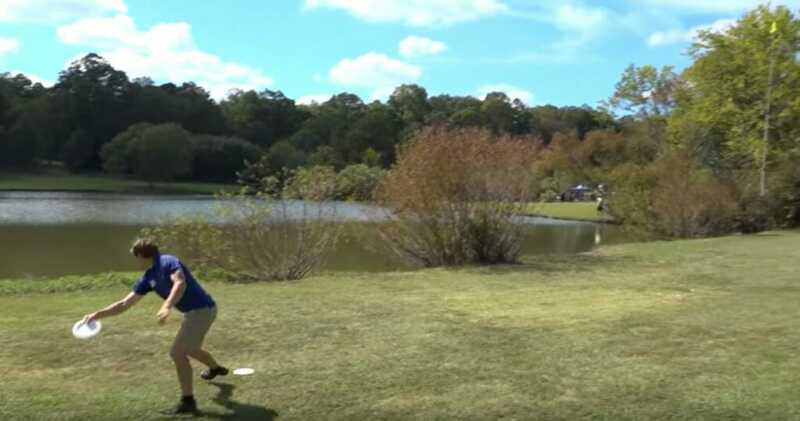 Lizotte uses a scomahawk here to avoid the tight lines through the trees straight in front of him, but also to play this severely down-sloped fairway. A scomahawk that flips and pans out will fall straight down since the high speed stability part of the flight has ended after it flips. This allows Lizotte to avoid throwing past the pin with an air shot. Additionally, notice at the end of the video clip how the disc slides along the ground. Grenade – Typically more stable-to-overstable drivers and fairway drivers are preferred, in part because added glide or flip is not something you’re looking for with shot. 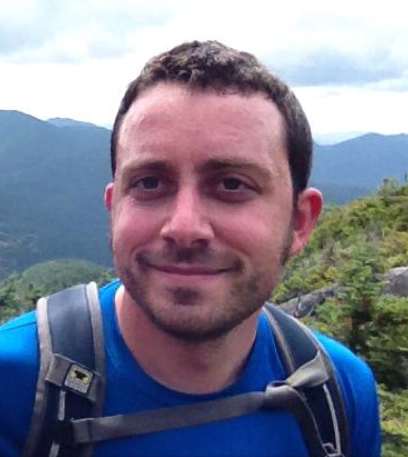 You want the disc to stay vertical and get to the ground quickly after clearing an obstacle. Scomahawk – This shot requires a very, very beat up driver or fairway driver that was probably already pretty understable to begin with. Since this shot must be thrown high, it needs to be thrown hard with a worn in disc to achieve a flip-and-pan in the air and not just turn into a severe anhyzer. Have you tried out either of these throws before, or have any tips of your own about them? Drop a comment below to start the conversation. Comments on "Tuesday Tips: Utility Shots – Grenade & Scomahawk"